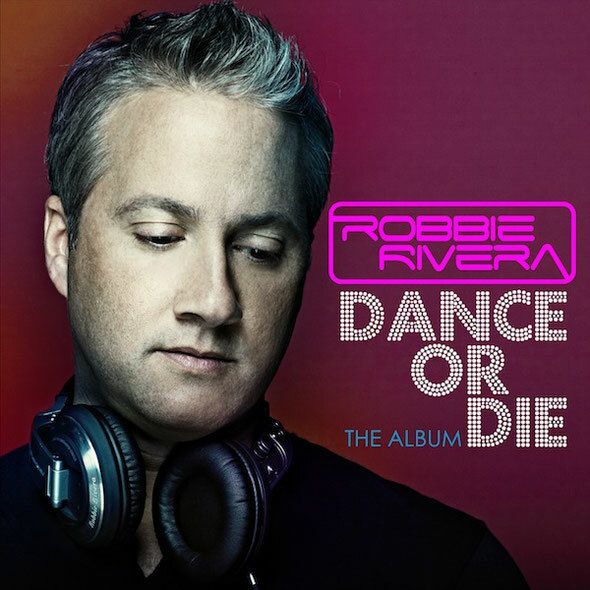 Robbie Rivera has released a preview of his new album ‘Dance Or Die’. The album, which is being released on May 7th via Black Hole Recordings, is jam-packed with brand new original material including his new single with Wynter Gordon, ‘In The Morning’. The album also features vocalists such as Blake Lewis, Lizzie Curious and Sue Cho and singles on the album include ‘Roxy’, ‘Turn It Around’ and ‘Makes Me Feel Good’. Robbie Rivera: "This is album is my best work to date. I started it in my Ibiza studio in the summer of 2011 and finished it in Miami. I have tried and tested every tune to make sure it rocked the dance floor. Mission accomplished." Robbie’s music shows an embrace of modern electro music combined with his progressive sound and his cross-genre album seamlessly transitions from pop to hard-hitting electro, to a tribal version of ‘Forever Young’. Robbie is currently on his Dance Or Die tour. The tour, which is currently on its way to Madison, Wisconsin, has been an energetic, intimate, and exciting portrayal of Robbie's 20+ years of producing and performing house music combined with a love for the young/energetic wave that's consumed EDM today. Also on Robbie’s tour is Amsterdam’s Bassjackers and the up and coming big room house producers, PeaceTreaty. For more information on the Dance or Die tour, visit danceordie.wantickets.com. Check out the album preview below.